Eddie, who was orphaned along the Califonria coast in 1998, came to the Oregon Zoo in 2000. 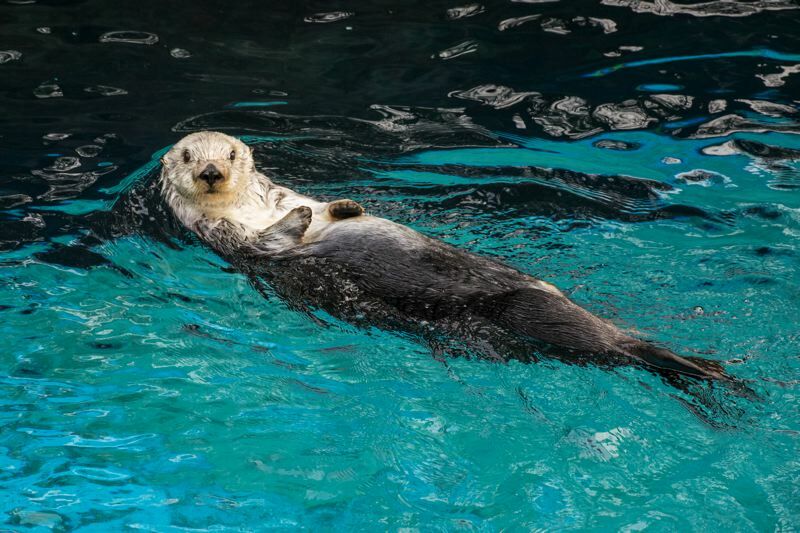 Eddie the Oregon Zoo's slam-dunking and aging seat otter, was humanely euthanized Thursday morning, Dec. 20, because his health had declined. Eddie was 20 years old, which is pretty old for a sea otter. Eddie orphaned as a pup on the California coast in 1998. He was taken to the Monterey Bay Aquarium's rescue and care program for rehabilitation. After the U.S. Fish and Wildlife Service deemed he could not be released back into the wild, he came to the Oregon Zoo in 2000. In 2012, his zookeepers trained him to dunk a toy basketball as therapy for his arthritic elbow joints. A 2013 video of his exercise routine had more than 1.7 million views on the zoo's YouTube channel. Sea otters — listed as threatened — once ranged along the north Pacific Rim from Japan to Baja California, including along the Oregon Coast. They were hunted to the brink of extinction during the late 1800s and early 1900s.